Walnut Hollow’s new Creative Woodburner is a real game-changer—it’s a professional-quality variable temperature unit offered at a hobbyist’s budget price. 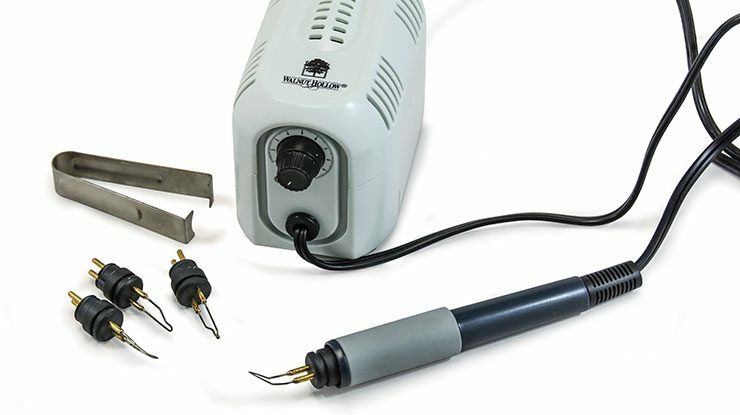 The kit includes a small power base with a permanently attached pen handle, four interchangeable wire tips, tip removal tweezers, and tracing paper—everything you need to get burning. 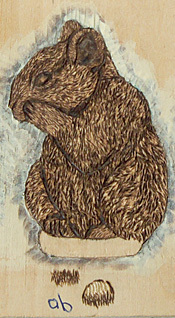 I began creating with pyrography over three decades ago with the soldering-style Walnut Hollow burner. Over the years I have added three more units to my pyro kit—Razertip, Colwood, and Optima—so I know what works and what doesn’t. To give this unit a full workout, I used a birch heartwood slab dragon, a cross-grain basswood slab wood spirit, and a bamboo kitchen spoon for my test burns. Between the 48″ (1.23m) power cord and 40″ (1.02m) flexible pen cord, Walnut Hollow gives you more than enough maneuvering room to both set your unit on the work table and comfortably move the pen tip across your wood, leather, gourd, or paper media. At 3″ by 5 1/2″ (7.6cm by 14cm), the power supply makes a small footprint on the hobbyist’s studio table. The pen, while much narrower than the standard Walnut Hollow burner, is slightly thicker than many other hot-wire pens I have used. However, the plastic grip is easy to hold without requiring any excess pressure from the fingertips. It rolls easily in your fingers, helping your movement to stay smooth and clean through the strokes. The burning unit has a high-range temperature setting, adjustable with a 1-to-10 dial. The low range setting clearly created pale tone burns on the basswood. The birch burning needed the higher settings. At no time did any wire tip (even during a long-term session on the 10 setting) turn red from too much heat, which can damage the tips. The universal shading point and rounded shader nib have a light spring that makes long pulled strokes lift nicely off the wood. This reduces the number of small dark spots at the end of a shader stroke. The nibs provide sepia tonal value without the need to change settings. I didn’t have to adjust temperatures when changing tips to continue burning at the same value. The wire nibs are well polished, having no drag or grainy feeling as you move through the strokes. The nibs also hit the wood at a comfortable distance from the finger grip. There is plenty of room to move the tips smoothly without having to over-extend your fingers or tighten your grip. There is little thickening of the burned line from a medium temperature setting to the hotter settings. At no time did my burning strokes create a halo or scorched area outside the burned lines. The handle remained surprisingly cool and comfortable, even on the hottest temperature settings. The Creative Woodburner has all the power and punch of the other professional-quality burning units on the market, at less than half the price. 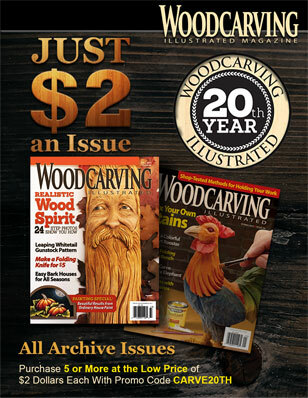 As it comes as a complete package including the four most commonly used pen tips, the Creative Woodburner puts a high-end professional tool at the fingertips of every hobbyist. 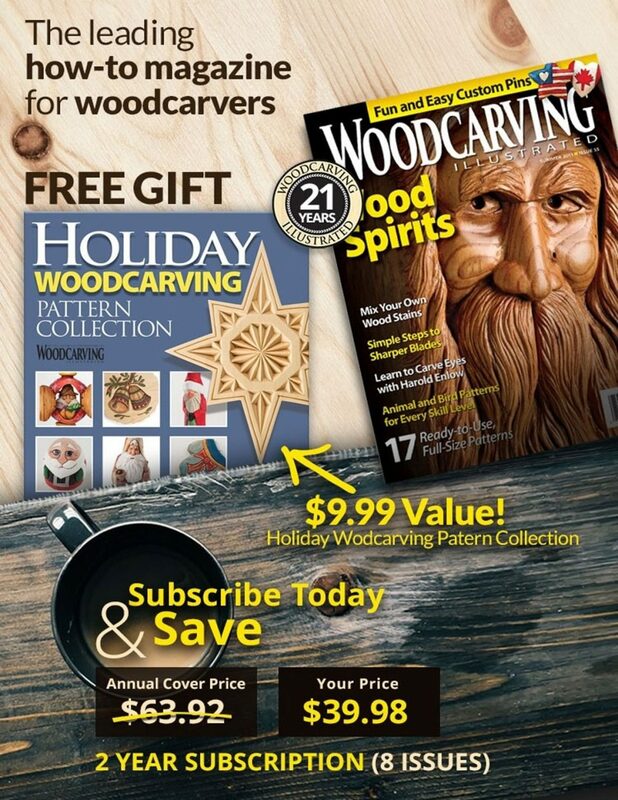 I highly recommend the Creative Woodburner for those that are new to our craft, as well as all professionals looking to add to their tool kit. Note: I recommend upgrading to graphite paper, especially for projects on softer wood like basswood and poplar. The carbon paper that comes with the kit works okay, but is made from old-fashioned typewriter carbon that cannot be completely erased or sanded off. 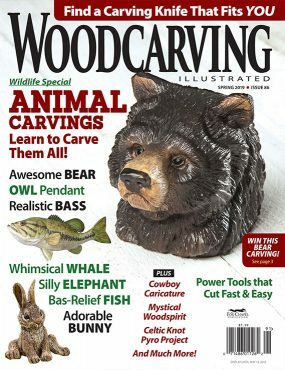 See the full article in Woodcarving Illustrated Spring 2019, Issue #86.